We're gonna need a bigger soccer field. 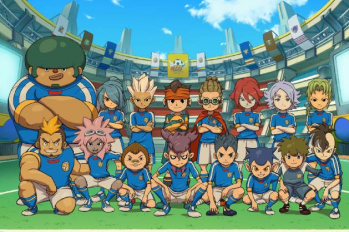 Back in March, Level-5 announced that it would donate a portion of the profits from Inazuma Eleven 3 sales to help kids in Africa. This donation would be a part of 11 For Africa, a charity that's managed by Hide Nakata's NPO Take Action Foundation. As it turns out, the sales of the soccer RPG were pretty dang successful: the end result is that Level-5 is going to give over 20,000 soccer balls for children to play with. By the end of September, the "Spark" and "Bomber" editions of the game had sold a grand total of 1,101,040 units. Since Level-5 had committed to donating 11 yen of each unit sold, that means a total of 12,111,440 yen was raised for the charity. While both Level-5 and the Take Action Foundation are working on this, "the actual ground work of the charity is being handled by Unicef, which will be using the balls to assist in education programs for South African children." This isn't the end of Level-5's involvement with the charity, as the final donation will be determined by sales of the game editions up through March of next year.